Don't you just obsess over things like this? I'm a bookie anyway, but, when you purchase a crafting book/ magazine it's just too much!!! Good review Duni. I'm always surprised when books such as this (and beading/jewelry design) are written without the beginner in mind. Though saying that, maybe it would be a good addition for a beginners library to have something to work towards. Gotta love it when you get something you've been waiting for. I had a hard time with making a cat bed so don't think I'll be getting this book anytime soon. Can't wait to see what you make after reading it though! Reading directions was always the hardest thing about sewing and especially teaching it! 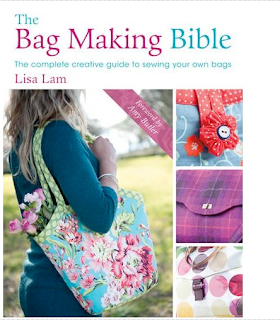 Liked the review on the book, though you already have mad skills in sewing! I visited your site...very cute! I can't wait to be able to check out the shop when it's stocked up. I'm a beginner myself, but I'd say you did a fantastic job for a "newbie"! Sounds like a great book. I love your work and it's intriguing to see how you are continually adding skills to your arsenal :) Have a great weekend! Hey, Duni! I love, love, love getting new books on my craft! There's always so much inspiration! Fabulous review!